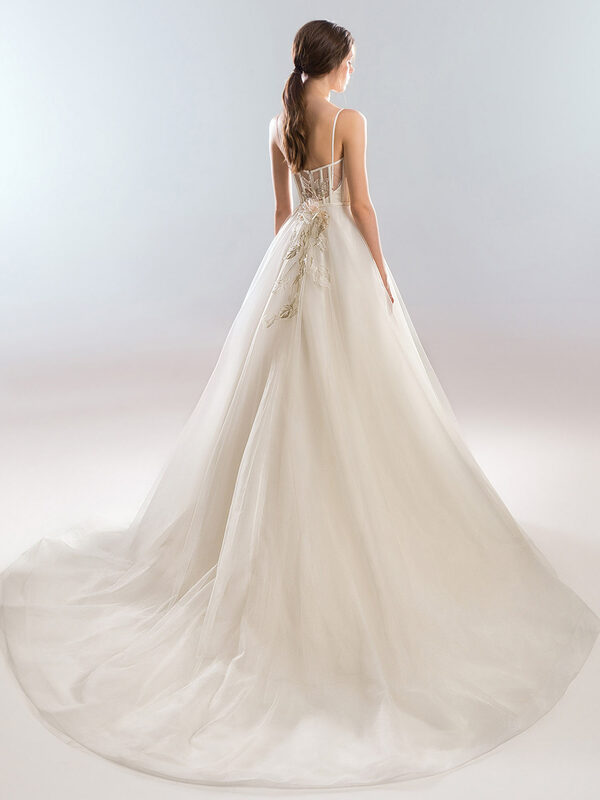 Dainty flowers adorn this ball gown wedding dress with thin straps and a sweetheart bodice. The corset has ribbon details creating a structured look around the bodice and sheer open back. The flowers float down the chest and back before tapering off at the top of the skirt. Completed with a slim belt around the waist.